Right now, as you read this, there are brave people speeding at just under 5 miles a second approximately 250 miles up in what is essentially a bunch of bus-sized tubes connected together. The overall size is about a football field, in a never ending free fall around the planet. You can see it with the naked eye if you know where and when to look, and it just blows my mind. 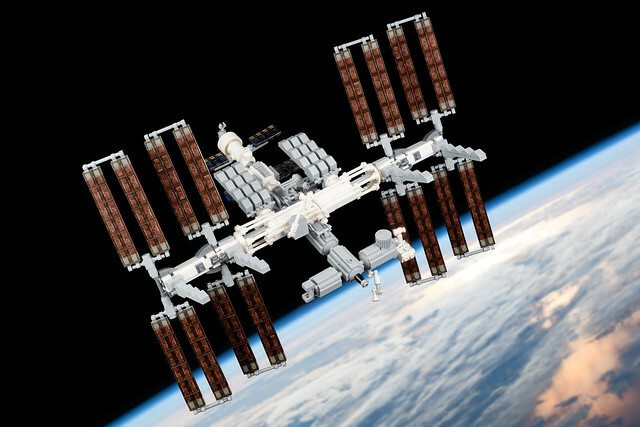 I'm talking about the International Space Station, and it's a wonder of human innovation and exploratory spirit. 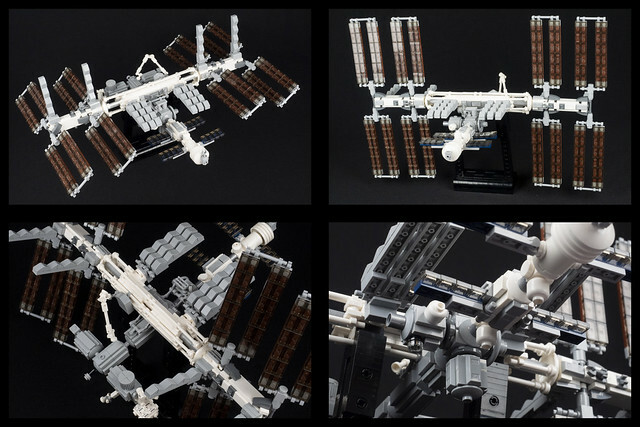 While this version by builder Jussi Koskinen is an order of magnitude smaller, it's still pretty amazing. The attention to detail is fantastic, and the presentation is stellar, pun intended.